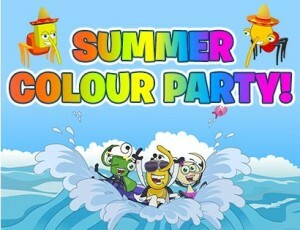 You don’t want to miss out on the Binweevils Summer Color Party that is happening on Tuesday. Everyone is invited to the party and it will be amazing. Join Tink and Clott at their Summer Color Party on Tuesday July 21st at 4pm on Mulch Island. Make sure you wear something colorful! Also, we heard a rumor that there will be a bunch of free codes at the party to unlock a bunch of items. We will be there partying with everyone else and to get the free Binweevils Codes! We hope to see you all there partying on Binweevils. Let’s have some fun!